The cost of any long term care, whether Home Care or Live-in Care, can be a significant investment. Everyone’s situation is different and there are many options to fund your care. You may be entitled to receive additional funding from your local council or the NHS. If you don’t then you may have to consider alternative ways to manage payments going forward. Below is information highlighting funding that is currently available and some ideas on where to get further advice. Direct payments, are payments that allow you to organise care services yourself, rather than the council arranging them for you. This can give you more choice, flexibility and control over the care you receive. Once you have registered the local council they will carry out an assessment of your needs (This is free). If you have eligible needs, they will draw up a support plan with you to meet those needs and confirm what funding you will receive. Private Funding It may be that you wish to pay for any care that you, or a family member, receive without an assessment by social services or filling in any council forms. An alternative way to fund this, is that you may decide to have a care fee payment plan or care annuity that covers the cost of the care. If you chose to so this , it is suggested that you consult an independent financial adviser, organisations such as symponia http://www.clubsymponia.org/ or Solla http://societyoflaterlifeadvisers.co.uk/list can assist you in finding an independent advisor specialising in care funding. Attendance Allowance Attendance Allowance (AA) is a tax-free benefit you may get if you are aged 65 or over and have eligible needs such as needing help with personal care. Attendance Allowance is not means tested, so is not usually affected by andy income or savings you have. If you’re under age 65, you may get the Disability Living Allowance or Personal Independence Payments instead. Carers Allowance If you already have a family member who claims the Carer’s Allowance to look after you, day-to-day support services could help this person to go to work or take a break during the day. 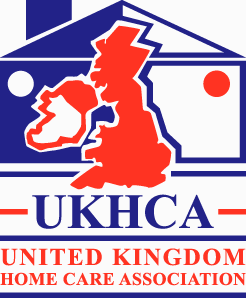 Under the Care Act 2014 all carers are eligible for a carers assessment from their local council. You may be entitled to additional support to help pay for another carer to enable your carer to have a break. The support services may also help when you need specialist care or a substantial amount of looking after. You might be able to choose to employ people to help with care at home on your own. You should seek advice from your local authority or local support organisations. Disability Living Allowance (DLA) or Personal Independence Payment (PIP) This is a tax-free benefit for children and adults who need help with personal care or have mobility difficulties.. disability Living Allowance is for under 16. Over 16’s now need to apply for Personal Independence Payment, you can get this payment whether you work or not. It is not usually affected by any savings or income you may have. If you start to get Disability Living Allowance or Personal Independence Payment it might increase the amount of other benefits you’re entitled to. Continuing Health care The National Health Service (NHS) and local authorities should work together to meet your needs if you have continuing health and social care needs when you leave hospital. Following the assessment there are a number of possible care options including support at home. Continuing healthcare can include both health and social care. Fully-funded NHS ‘continuing healthcare’ is a package of care arranged and funded solely by the NHS. To access this care you must meet the eligibility criteria set by your strategic health authority. To be eligible for NHS continuing healthcare you must be over 18 and have substantial and ongoing care needs. You must have been assessed as having a “primary health need”, which means that your main or primary need for care must relate to your health. If you meet your strategic health authority’s criteria for NHS continuing healthcare, the NHS will pay for all of your care needs.